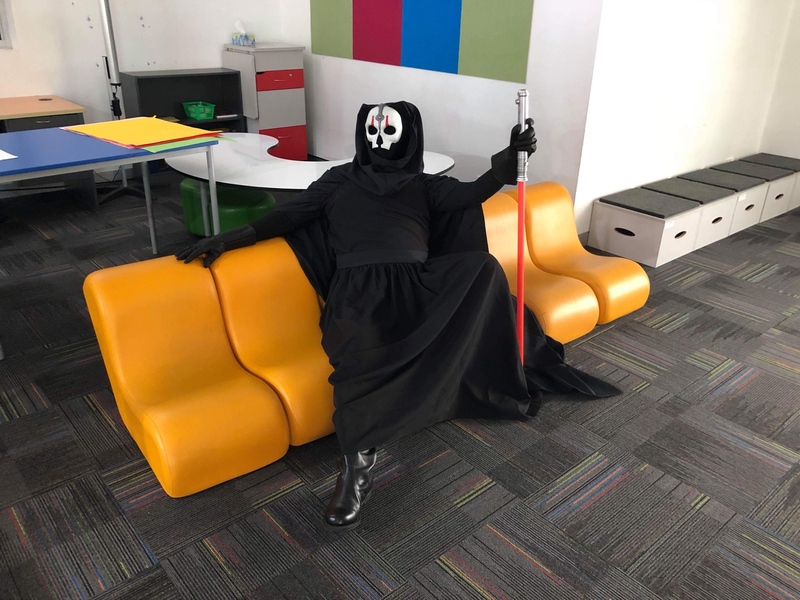 To attend the Star Wars themed Day. 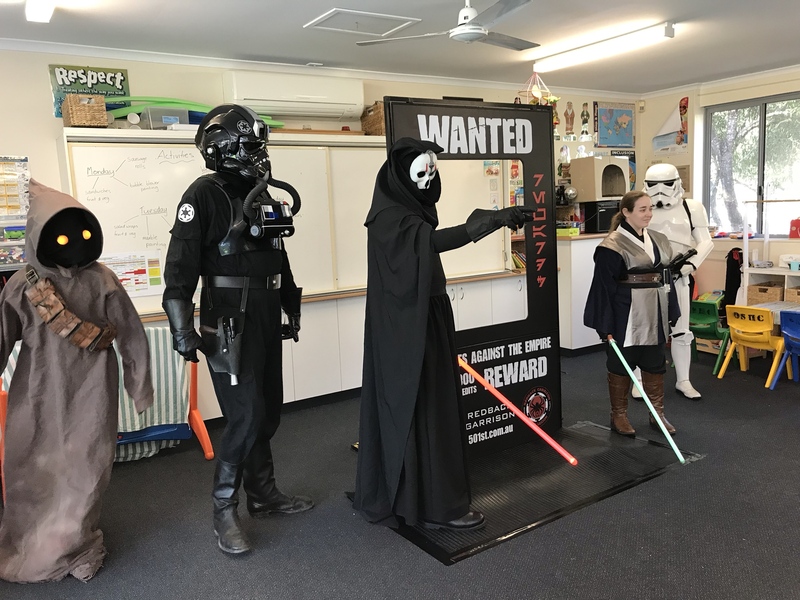 This troop was the second time it has been held as the first time was a great success. 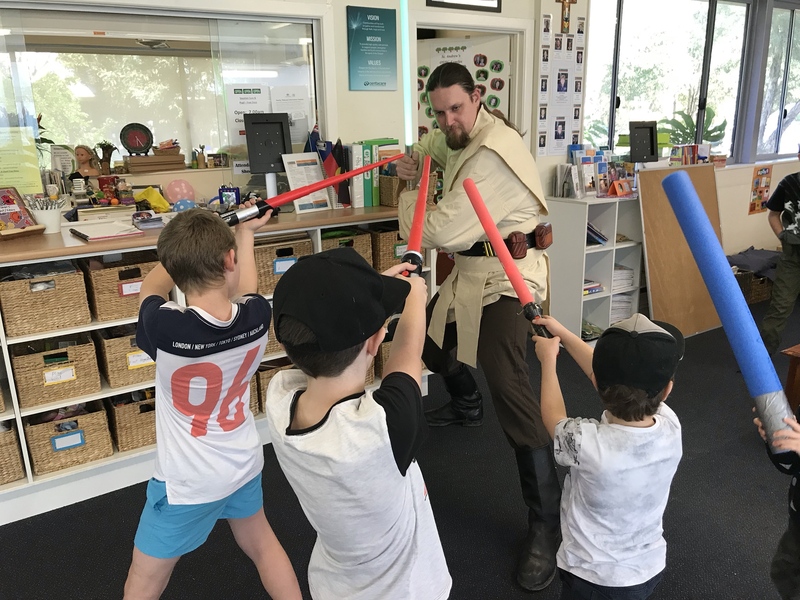 It was a fun little troop for 60 or so little troopers/Jedi to be. We deployed the wanted prop for this little event, as the Vacation care wanted to make sure the kids had their own framed photo to take home with them to remember this fun and amazing day. 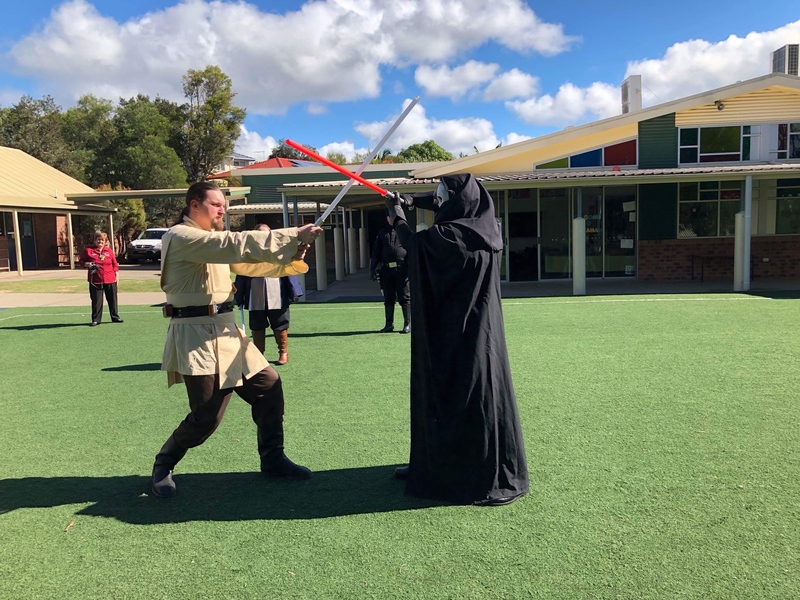 As Kelz and Bully helped wrangle the kids for there photos.Darth temptress tested the kids with Star Wars trivia. 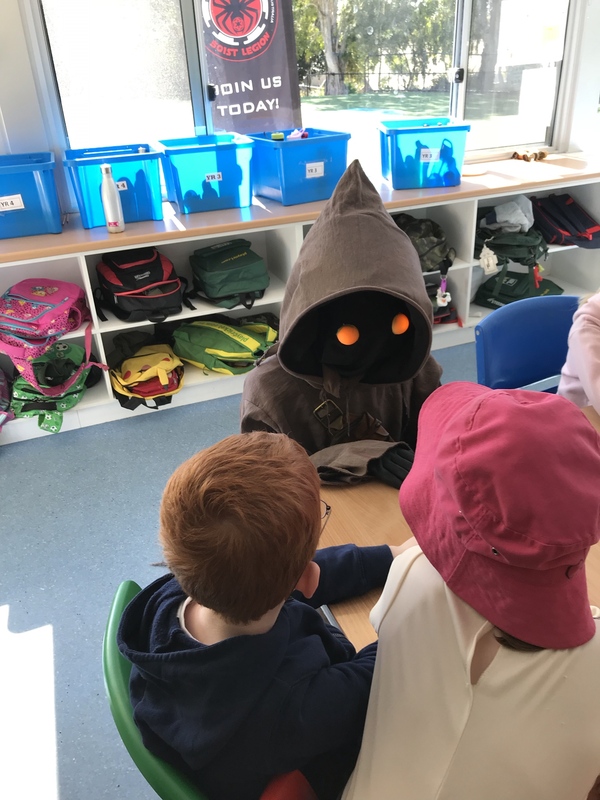 I myself am amazed by the great education these kids had about Star Wars. 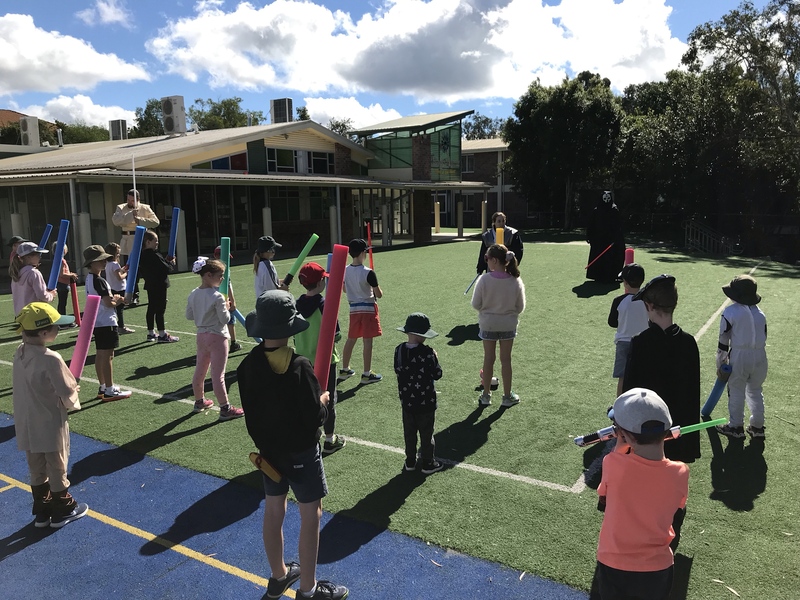 After the photos had been taken.all the Jedi’s and the other J character helped the Padawan’s build there own training sabers,to be ready for there crash course on some basic saber techniques. 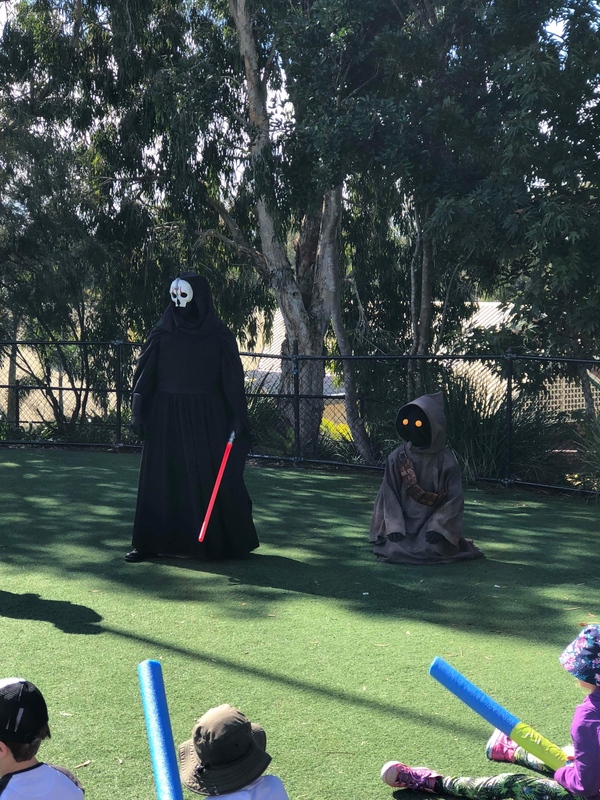 As there final test before receiving there Jedi training certificate,they had to use there new found skills against Darth Nihilus to protect themselves from him sucking the life Force out of them. 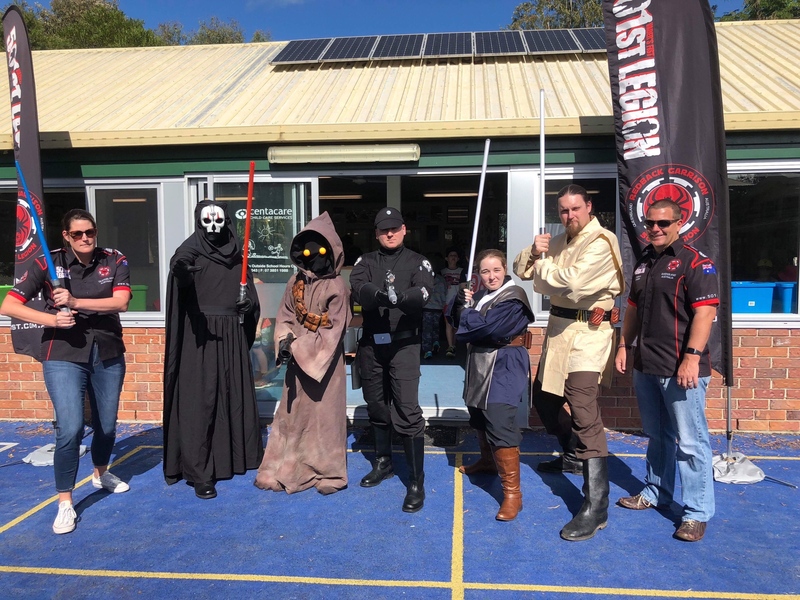 The troop as a great success and the kids and staff loved it. They will be sure to have us back again. Thank you to all the trooper and wranglers for being apart of the day. It was a great troop! Always happy to watch some younglings try to take down Nihilus!!! Easy money. 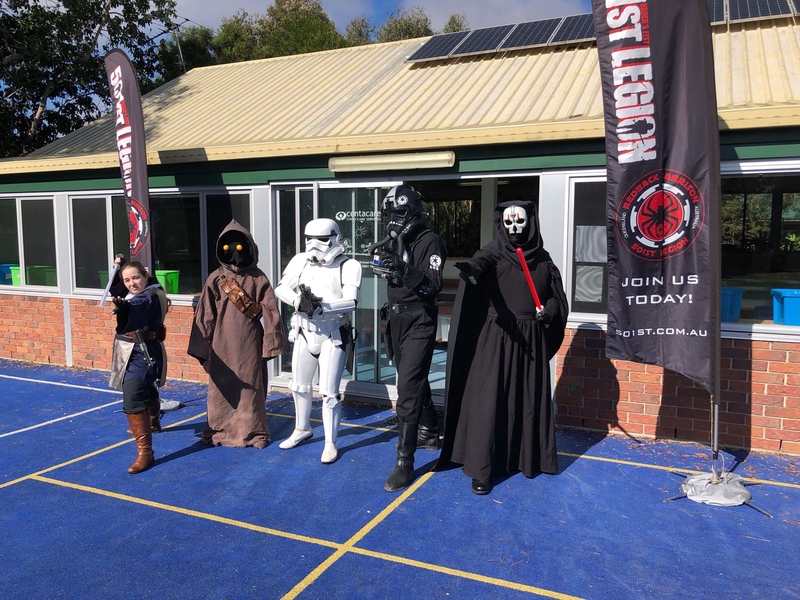 Great kids, well organised little troop thanks Diatium. Great seeing you guys and getting a chance to help out again. Need more mid-week troops. You guys were a massive hit with kids.